The Beak: It's Effing Cold Out There! Yah, nothing like -30 and a windchill of -46. This would be Mike's shoveling job this morning. 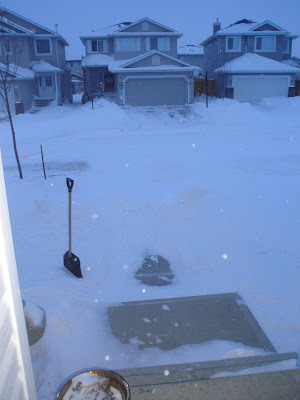 I looked out the window to see a wee bit of shoveling done, then footprints to the van... I had to laugh, I don't blame him, that is freaking cold. Dinner last night, not so fancy, but I made Cajun pork, and it wasn't too bad. 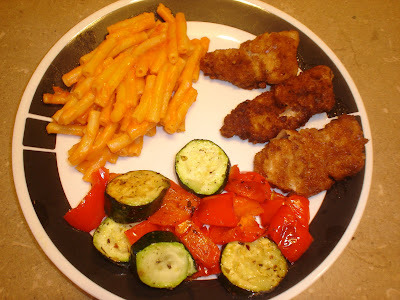 Basically breaded pork sirloin pieces with Cajun seasoning in the flour then fried...I could do without them but Mike really liked them. Then our favorite veggies, roasted red peppers with zucchini...mmmm. Then cheese casserole. 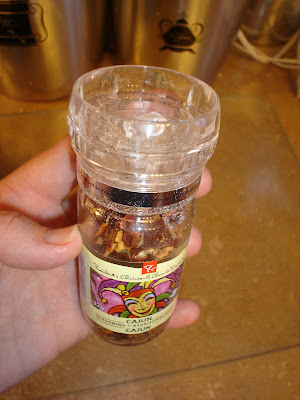 And my newest love, seasoning with a built in grinder, nothing like freshly ground Cajun seasoning, all for the price of 3 bucks at Superstore. I need to see what other kinds they carry.